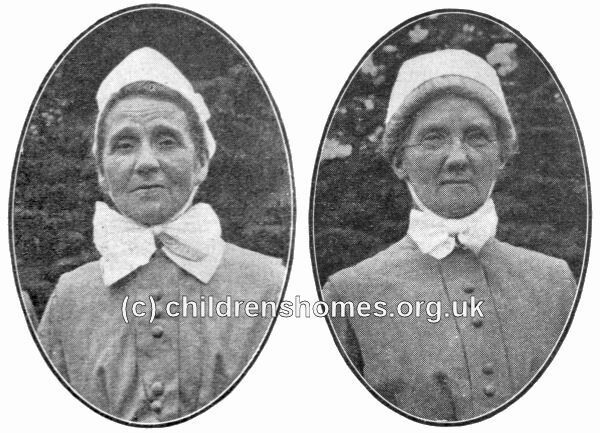 In 1898, two nurses, Miss Blanche Wright and Miss Ellen B. Kingsford, founded a home for the 'first children of unmarried mothers, and other homeless infants'. Their concern is said to have been inspired by their reading the 1894 novel Esther Waters by George Moore, in which the central character is a single mother. The two took a cottage at Walton-on-Thames, selected the best room it contained as the nursery, and furnished this and the remainder of the cottage simply and economically. The first baby came before the house was ready and eleven others soon arrived to keep it company. Each mother paid 5s. a week, or what she could afford, towards the maintenance of her child. After three years of operation, a larger home was needed and it was decided that it should be nearer London, so that the railway journey might cost the mothers less. 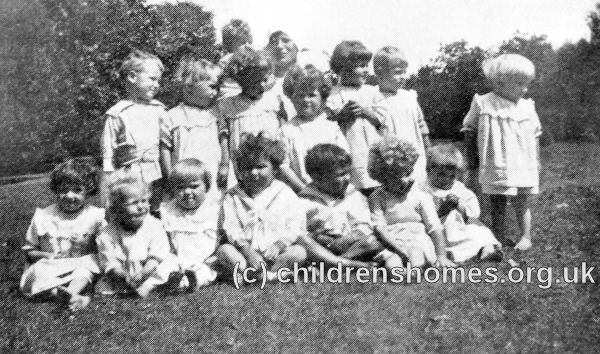 A house was found at Finchley and forty babies were soon in residence. However, the property proved insanitary, and the local Medical Officer gave orders for them to quit. Fortunately, a neighbouring vicar and his brother came to the rescue and offered them the use of the Manor House at Friern Barnet (now the club-house of the North Middlesex Golf Club) as a temporary residence. with the help of a £4,000 mortgage, they were able to acquire the Fallow Corner estate at Granville, Road, Finchley, with its fine house and grounds. The burden of the purchase left the home very little in the way of funds to feed the children in its care. A Ladies' Entertainment Committee was formed to organise fund-raising events but it was only after a successful national appeal for funds that the mortgage was paid off. With the onset of the First World War, charitable donations quickly dried up and again placed the home in a precarious financial position. After a widespread newspaper appeal failed to produce a result, Sir John Kirk, a noted Scottish physician and explorer, persuaded the Shaftesbury Society to take an interest in the home. The Society effectively took over the establishment, renaming it the Wright-Kingsford Home to perpetuate the name of its founders. In 1920, the home could accommodate 80 babies, aged over 9 months at their date of admission. 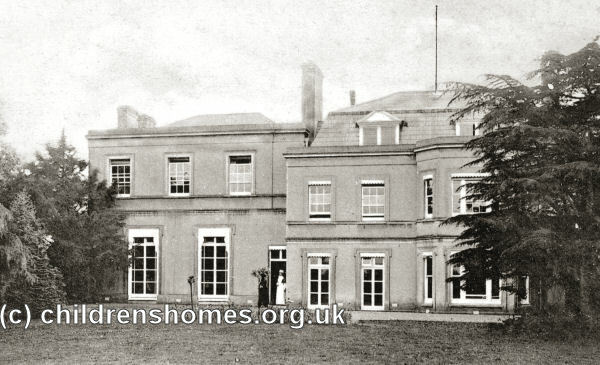 In 1925-6, an extension was built containing two nurseries, nurses' bedrooms and a sick room, all centrally heated. A modern laundry was placed in a separate building. The former stables were converted into dormitories, a playroom, a kitchen, and a sick room. There was now accommodation for 100 children, with the minimum age of admission being lowered to five months. The children wore a distinctive red and blue uniform and most attended Summerside School. Boys left at the age of five while the girls remained until the school-leaving age of 14. In 1939, part of the building was taken over by the nearby Finchley Memorial Hospital for use as nurses' accommodation. The increasingly dilapidated building was closed following the end of the Second World War and demolished a few years later. Housing now covers the site.